Prattville, Alabama, the United States of America. Kaitlan Collins is an American famous journalist who is known for being the White House Correspondent for the popular news channel CNN. She worked for The Daily Caller for four years and moved to CNN after that. Talking about her personal life, as of 2019, she is reportedly dating the founder of Crimson Care Pharmacy Group Will Douglas. Kaitlan Collins was born on April 7, 1992, in Prattville, Alabama, the United States of America. She was born under the zodiac sign Aries which defines her personality to be courageous, determined, confident, honest and passionate. Talking about her parents, her father’s name is Jeff Collins who is a senior mortgage banker. She has never talked about her mother so there is not any information about her in the media. Kaitlan has two brothers named Brayden and Cole. She also has a sister named Lena Grace. She spent her early days in Prattville and attended Prattville High School. After her graduation from high school, she attended the University of Alabama. She studied chemistry and afterward transitioned to journalism and political science and graduated in May 2014. After she graduated from the University of Alabama, she started working as a freelance blogger and writer. During that time, she wrote for various journals and newspapers. Because of her writing skills, she was hired by the news website, The Daily Caller as their entertainment reporter in June 2014. She worked there for three years as a reporter. Later she was promoted as the website’s White House correspondent in 2017. In June 2017, she left The Daily Caller and started working for CNN. While she was working for CNN she continued with her previous position of the White House correspondent. 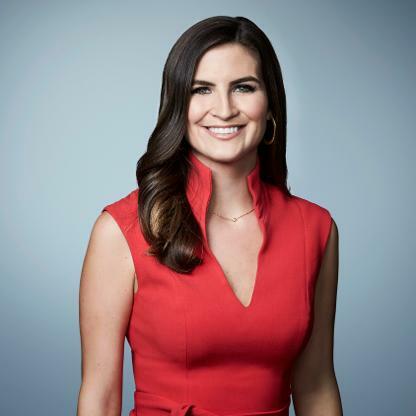 Till now, Kaitlan has appeared on numerous television and web shows with other reporters that includes Ticker Carlson, Ben Shapiro, Brian Williams, Anderson Cooper, Kate Bolduan, Jake Tapper, and Erin Burnett. What Happened Between Kaitlan And White House? 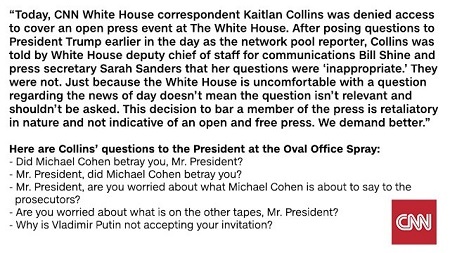 Kaitlan was banned by the White House for a press visit in July 2018. All this happened after she asked President Donald Trump about Russian president Vladimir Putin’s postponed visit. The American President had purposed the Washington meeting during their Helsinki summit with Russian President. But the meeting was delayed by Vladimir Putin to 2019 on the grounds of investigation of ‘Russian Interference’ in the 2016 election. The officials of the White House claimed that the journalist shouted questions and refused to leave the conference despite repeatedly been asked to do so. Even though she was not alone, the American news networks, including the conservative news channels stood in support of Kaitlan on the issue. Though the actual figure of Kaitlan Collins' net worth is not revealed, considering her career and success, we can assume it to be in millions. 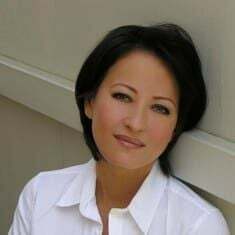 She mostly gathered her net worth from her professional career as an American Journalist. She began her career by working for The Daily Caller and later moved to CNN as a White House Reporter. According to the source, a person who is working as a White House Correspondent earns an average wage package of almost $100k. White House Reporter’s income varies from $83k to $112k per months, where the top-earner makes about more than $129k. Everyone is wondering if Kaitlan Collins is married or not. Well as of 2019, Kaitlan is still not married and does not have a husband. 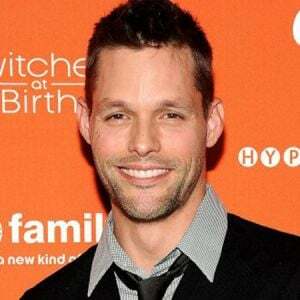 Talking about her relationship, she is supposedly dating Will Douglas, he is the founder of Crimson Care Pharmacy Group which is located in Sulpher Springs, Texas. She even posted a photo with him on her Instagram. According to the source, Kaitlan went on the vacation with Will and their close friends in 2016 at Cancun, Quintana Roo, and City in Mexico to spend their holidays. On July 5, 2016, the alleged couple was seen visiting the National Park which is located in Ballpark in Washington, D.C. They were also spotted together watching a baseball match in Washington. However, they have remained mum about their dating life and has not voiced when it comes to their relationship. Kaitlan is active on social media and news media platform. As of 2019, she has about 14.9k followers on Instagram and 200k followers on her twitter as of early 2019. Weight: She weighs around 58 kg or 128 lbs as of 2019. Age: She is at the age of 27. In the video shown below, Kaitlan Collins reporting on CNN after she got banned by White House from the event for inappropriate questions.